Uses: Education Colors: Blue Heights: 6'-0"
So many times you read about a school referendum on the ballot requesting funds for building improvements and enhancements. As a community experiences a change from an aging population to a younger demographic, the school district experiences a swell in student enroll. Hawthorn School District experienced just that along with an increase in housing developments that attracted families. “Our schools are at or above capacity, class sizes have increased, and space constraints have led to classes being held in areas not intended for instruction,” according to district leaders. 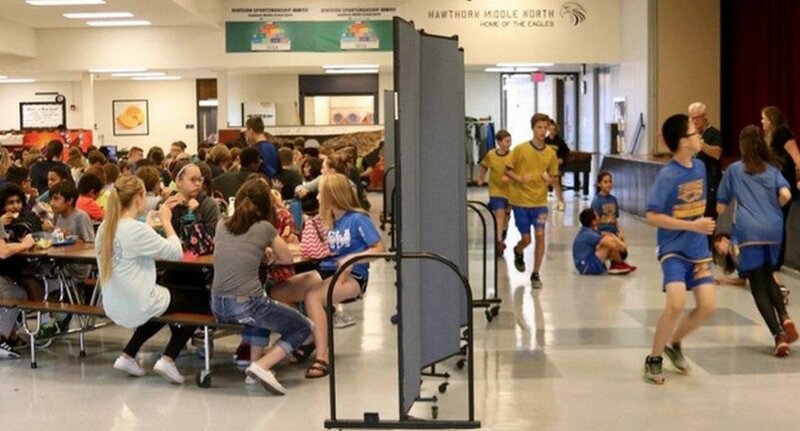 As seen in the attached photos, school officials use Screenflex Room Dividers to create a space for a P.E. class in the school’s cafeteria. The room dividers are then rolled into another area of the school to construct additional classrooms in the library and training areas. 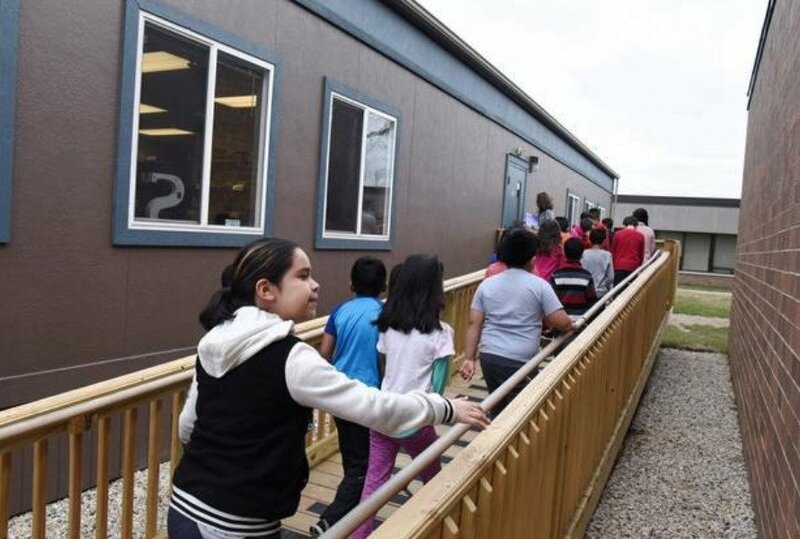 Other classes are held in on-site mobile trailers, but with the colder temperatures looming school district administrators are turning more and more to using movable walls to create much-needed space.